For reviews, please scroll down. "If you like witches and frightening stories you will enjoy reading these frightening tales.! Cleverly written with an eerie darkness." "The ploughs are rusty, the scythes are mere ornaments; the "folk" of folk-tales are dying and the myths and spirits of the ancient British woodlands are fading from memory, but the reclamation the proto-feminist calling of cures and natural knowledge – applications that made men turn the word ‘witch’ into a pejorative catch-all term for rural female agency - is in the ascendant. That Christian mono-culture used this word for women believed ‘alien’ from mainstream society only increases the legitimacy of those whose understanding of the world was essential for so many people for so many thousands of years. 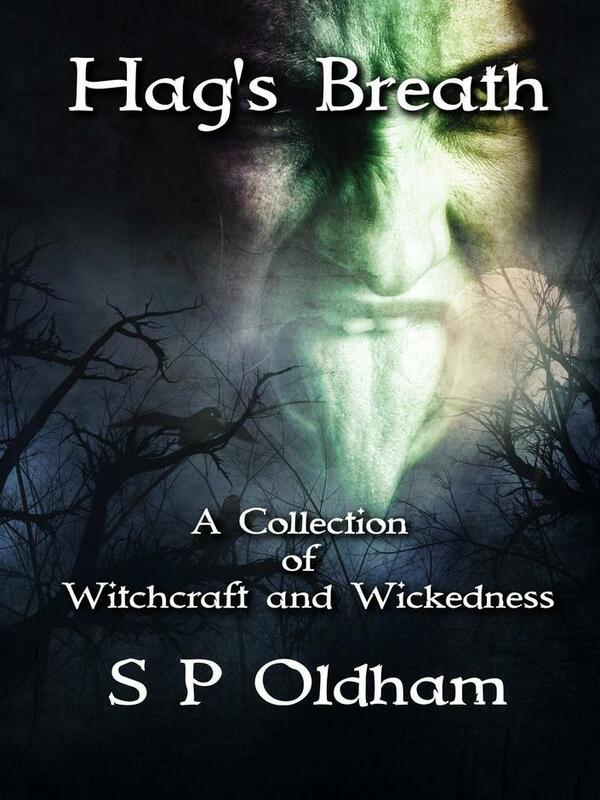 A portrait of women amongst nature, Oldham's latest anthology, 'Hag's Breath', shows witches in compelling and sympathetic portrayals across its interlocking short stories. These powerful women are initially represented by the trio of sisters Sussurata, Sibilanta and Silhouetta, and their presence looms over the subsequent entries in this collection as the roots of ancient trees stretch out far underneath the earth of a forest-floor. From ‘The Wolf Witch’, ‘The Witch’s Kiss’, ‘Ice House Belle’ and ‘Horrorscope’, these tales demonstrated the strength harnessed by a sophisticated understanding of the ebbs and flows of the world around us, and all in Oldham's trademark vivid, sensorial detail. From the chilling to the sinister and the eerie, ‘Hag’s Breath’ guarantees that any reader will not want to step amongst the woods at night anytime soon." 5.0 out of 5 stars A fantastic collection of immersive tales! Generally more familiar with crime thrillers, I was tempted to dip my toe into a different genre, mainly due to the description of this book along with reviews of others, and I'm so glad I did. As you you begin reading, the level of description and langauge used immediately immerses you into a dark world of witches. If you think these are your standard black dress black cat witches you'd be mistaken...these witches take their roles very seriously, each one completely unique in their appearance, abilities and desires, all once again described with utter brilliance. In short this is a book not to be missed. Although relatively unknown, the writer has a fantastic way of weaving a story and a beautiful use of language....so what are you waiting for...start reading it! Sue Oldham has an incredible way with words. Whilst I loved the whole of this book, my favourite story just has to be "Sisters". The depth of description takes you straight into their world. It was a mixture of modern and traditional even down to the use of the broomstick. I didn't anticipate the end of the story and the twist was brilliantly written. The gruesome details were wonderful and I couldn't wait to read the rest of the book. 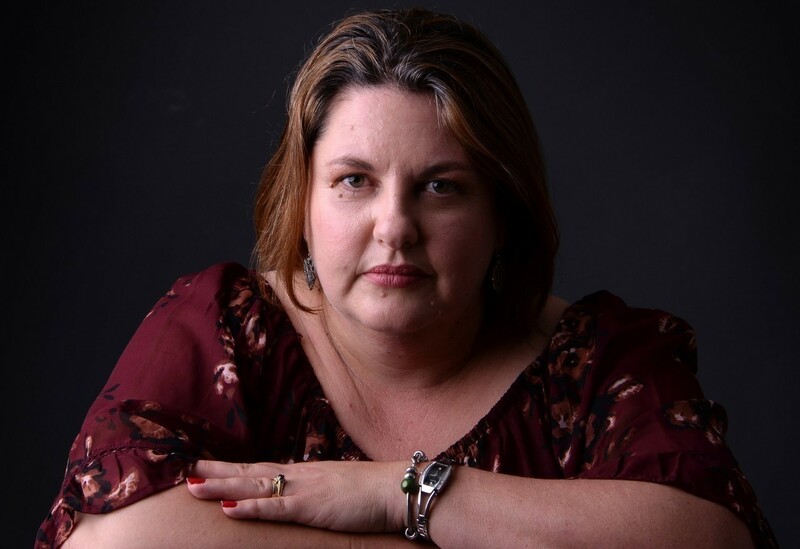 Each of the stories made for compelling reading, This is an author to watch out for. 4.0 out of 5 stars Bewitching!!!! I love scary stories with magic in the mix. There are four stories in this book and the stories were terrifying, compelling and bewitching. This book is such an unexpected surprise, a good surprise. I love the imagination of the author and the description is superb. The stories are detailed and very unique. I recommend this book! "A really good read. Creepy and addicting. The stories kept me engrossed and wanting to know what happens at the end of each of them. I'd definitely recommend it." 5.0 out of 5 stars Good Creepy Read. "This isn't the sort of book I would usually read, but I though it would do me good to try something different. I'm rather pleased that I did as well. The book contains four short stories that each can easily be read in an hour or so before bed. They are all equally strong, and although I wouldn't class them as horror, they certainly are haunting. The author definitely has talent and a way with words, as each story draws you in and leaves you feeling a little creeped out. It isn't such an easy thing to do with tales of witches, that are usually the stuff of children's stories. But there was sufficient depth and menace to each to keep the pages turning and keep me entertained for an evening. At the price of a Costa latte this has to be considered a good investment and a worthy addition to any bookshelf. It's all good stuff." This anthology of witches is great. There are delicously evil witches, witches don't know they are witches, and witches who are more neutral. The writing is beautiful and engaging, and you can't stop reading. This book really held my attention, and the story of the Belle witch was great! It would be a good movie. I was given a free copy for an honest review." "There is always room for lesser known authors who deserve to make the big time and Sue Oldham is certainly one such author. I have read very few anthologies over the years and none have left me with a lasting impression. That was until I was fortunate to read recently Hag's Breath. I have also read Wakeful Children. I cannot praise either book high enough! What I enjoy is the variety, . Hag's Breath is based around Witches and each story is totally different. The first story 'Sister's' I couldn't turn the pages quick enough and instantly decided that had to be my favourite. Such evil! I never expected to find another two stories that gripped me as much as the first, which were 'The Witch's Kiss' and 'Ice House Belle'. Never saw the endings coming and what a twist to these stories. I would like to thank the author for sending me a copy of Hag's Breath in exchange for an honest review. Highly recommended." 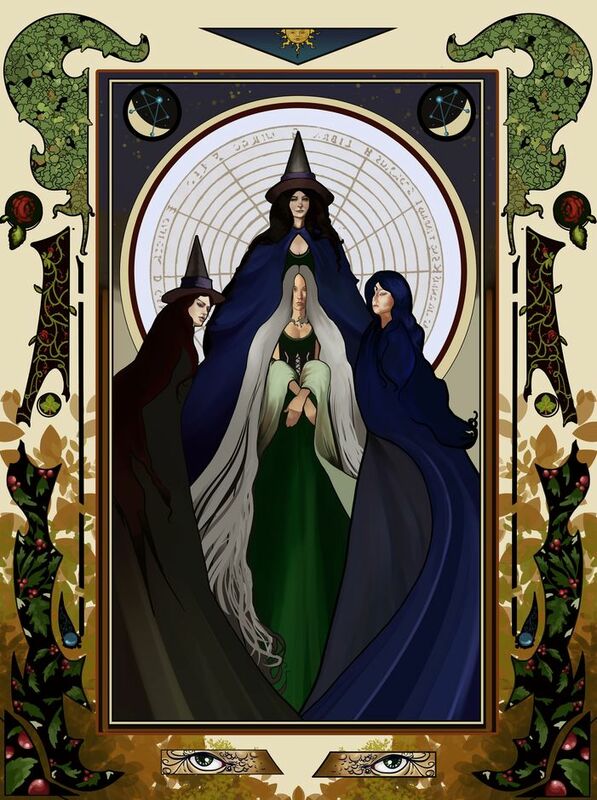 "To start with the descriptions of the three sisters was so beautifully done and amazing. Sussurata is described so beautifully and pictured to be so stunning. I loved how the way the language of the story being told and how they speak is very proper and dated to be around the 60’s? All the sisters are described to be so beautiful and how they aren’t the typical “witch” as they are beautiful and not ugly. But there are also some aspects of “olden” witches with their powers and the use of broomsticks. Mother Midnight is such a BADASS! She is 100% my favorite character. I like how throughout there are many different forms of mythical creatures like withes, wolfs etc. There is a lot of passion from the author that is clearly seen through the way this book was written. I loved how the deaths were not mild in the slightest, they were more on the gruesome side, but it fitted with the book and it made it much more interesting. The change in the format with the letters made worked well and the theme of witches still plays a part throughout the whole of the book and the individual stories within."